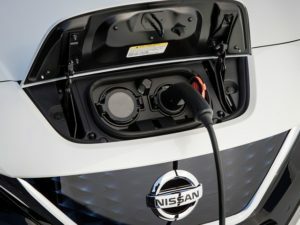 Alternatively fuelled vehicles gained their highest market share yet in the fleet market as businesses increasingly turned away from conventional petrol and diesel models. Latest figures from the Society of Motor Manufacturers and Traders (SMMT) show that from a total 103,490 fleet registrations in May, 6,919 were AFVs, equating to a 6.7% share. This compares to 6.4% in April and 5.0% in March. For the first five months of the year, 5.7% of the fleet market went to AFVs, up from 5.5% for the YtD in April and 5.2% in March. The increase in AFV take-up came as diesel saw a slight uplift in its fleet market share – up to 40.3% from 39.1% in April although down again March’s 41.3%. Petrol took 52.9% of fleet registrations last month, compared to 54.4% in April and 53.7% in March. For the year to date, 41.8% of fleet registrations were diesels while 52.5% were petrol – compared to 42.1% and 52.4% for the first four months of the year and 42.8% and 51.9% for the YtD in March. The record market share held by AFVs in the fleet sector came as overall fleet registrations saw a slight fall in May – down 0.7% to 103,480 units – with a larger 7.1% decline to 547,637 units for the year to date. Business registrations were also down for both May and the first five months of the year, recording falls of 9.6% and 16.2% respectively. Private registrations were up 10.1% in May, helping to push the overall market to a 3.4% rise – its second consecutive monthly rise – but were down 5.7% YtD, with the overall new car market down 6.8% for the first five months of the year. Commenting on the figures, Ashley Barnett, head of consultancy at Lex Autolease, warned that consumers and businesses are still hesitant when it comes to replacing their cars, driven by continued confusion around WLTP emissions testing and the lack of guidance on policies going forwards. Meanwhile Jon Lawes, managing director, Hitachi Capital Vehicle Solutions, said the company’s own research found that 73% of fleet owners think the Government can do more to support the move to AFVs.